IDW Publishing speeds back with Sonic The Hedgehog in issues number 14 and 15. Dr. Robotnik’s evil plans are becoming clearer as the Freedom Fighters Resistance continue to clean up after the robots begin to return. Sonic teams-up with time-traveling telepathic Silver in Issue 14 after an inactive Dr. Robotnik base comes to life. For the first time, Sonic comes face-to-face with Dr. Starline, Dr. Robotnik’s new lieutenant. They also have a rematch with the now mute Metal Sonic. In issue 15, Sonic teams-up with Amy Rose in order to hack into an old Robotnik base. 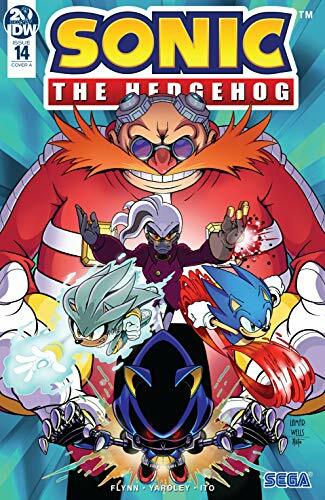 The mad genius sends lackeys Rough and Tumble in order to stop them, but Robotnik has a secret plan to infect Sonic with his new metal virus. Ian Flynn continues to bring us an excellent story. He does a good job of bringing Sonic into the 21st Century, though now that he is safely out of the shadows of the Archie Comics series, you can see shades of it creeping in. Dr. Starline is acting like sinister Robotnik nephew Snively, Dr. Robotnik is grandiose and arrogant, and he’s developing ways to “roboticize” civilians. 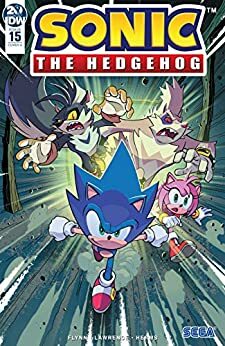 These are the good things to bring in and hopefully, this trend will continue while also keeping the originality that IDW Publishing has been putting in the SEGA game adaption. What do you think? Let me know in the comments below. Tell me if there is a comic book, movie, or novel you would like me to review. While you are at it, check out my movie reviews of the Netflix films The Highwaymen and Unicorn Store. Don’t forget to like, share, and subscribe for more posts like this one.